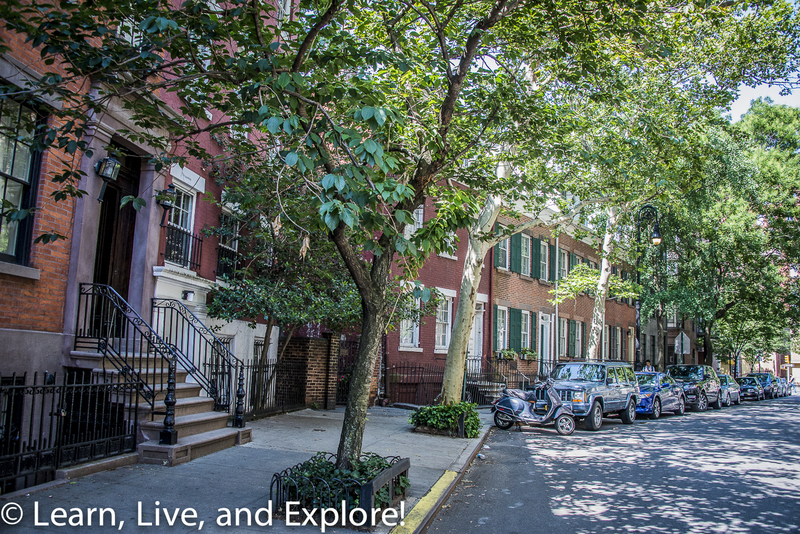 NYC: History Lives On in Greenwich Village ~ Learn, Live, and Explore! The original plan was a NYC microadventure of some old mews and alleys in Greenwich Village, or "The Village," that are reminders of the horse and carriage days. Many of these old buildings that remain were once rows of stables that belonged to nearby residences. There are a handful left in Manhattan, and a few more in Brooklyn, which I will have to see on another trip up to the city. 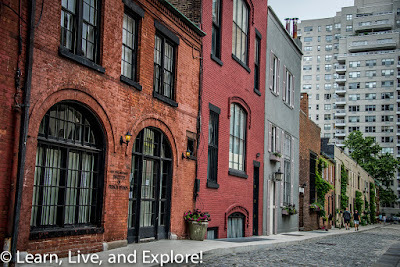 So while I had planned for finding and documenting these small streets, what I got instead was a multitude of historical surprises and other beautiful treasures that tourists who concentrate their time in midtown (don't get me started on the gross people in animal suits in Times Square!) and Central Park never get to experience. One of these gifts was an NYU student who had wheeled out his piano to Washington Square Park to entertain park goers. 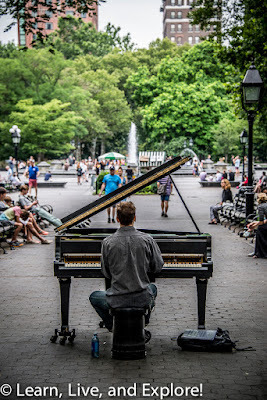 He was playing Beethoven's "Moonlight Sonata." I spread my Village small street scavenger hunt over two days because of other time commitments during the weekend. 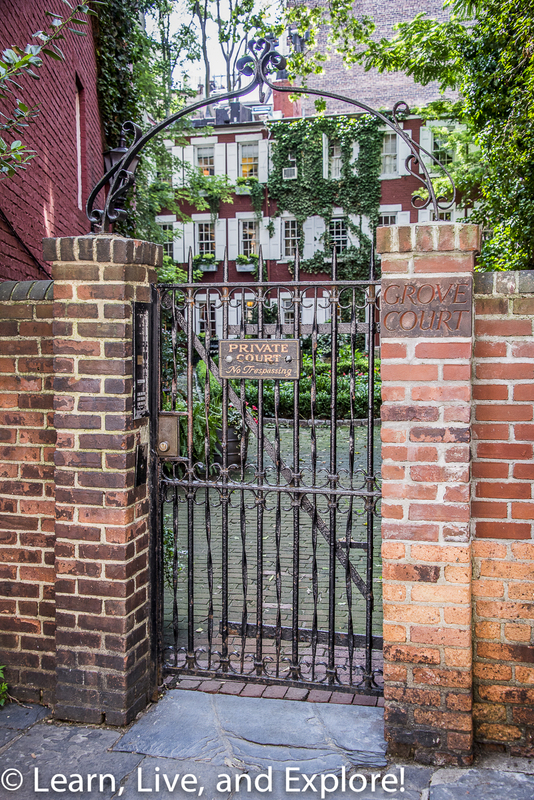 My first stop was Grove Court, a hidden gated courtyard off of Grove Street. These mid-19th century townhomes originally built for tradesmen embody old New York charm. Grove Court is located right at the bend in Grove Street. A surprise bonus from this stop is the apartment building just steps away on the corner of Grove and Bedford. 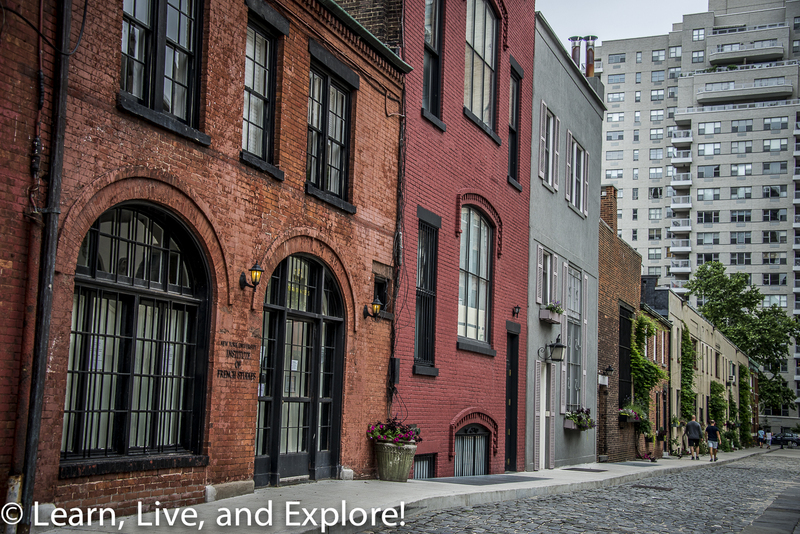 Do you recognize the facade? 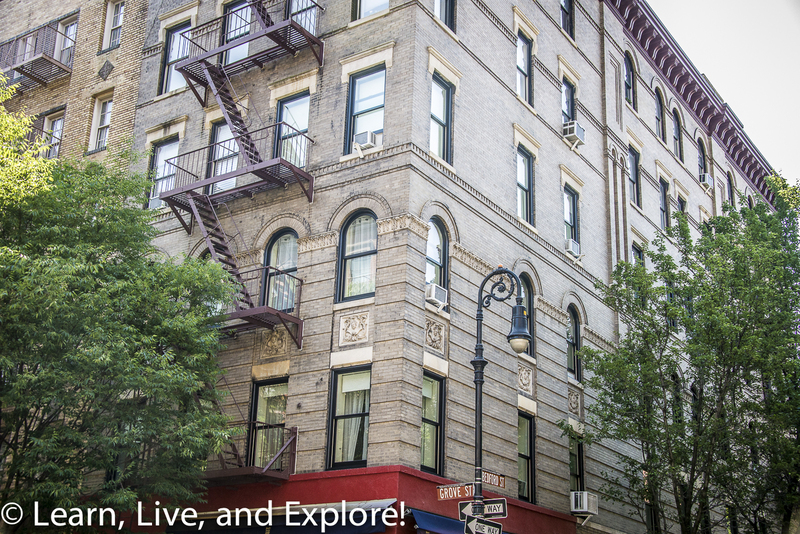 It was used in the title credits for Friends, so this was apparently where Rachel, Monica, Chandler, and Joey lived. 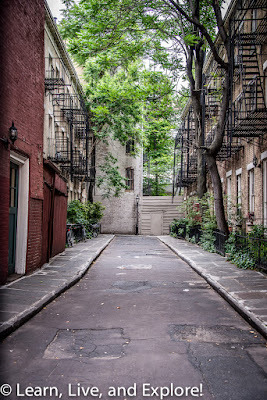 Washington Mews, next to the NYU campus and Washington Square Park is a perfect example of a late-19th century row of stables that were typically aligned to one of the luxury townhomes that border Washington Square Park. Now it is a gated street that is occupied by various NYU foreign language organization offices. 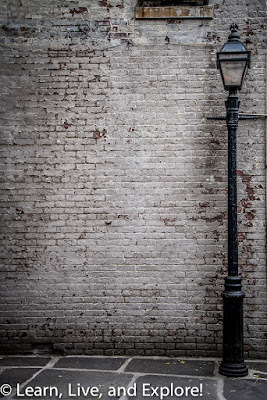 MacDougal Alley is similar to Washington Mews, a former 19th century row of stables, but has a more recent history in the 1900s as the location of residents that were famous artists, like Jackson Pollock, and poets. Today, the buildings are used by NYU. 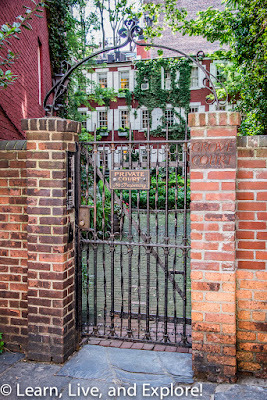 Patchin Place is a residential gated alley off of 10th Street with ten townhomes built in the mid-19th century to house local hotel workers. 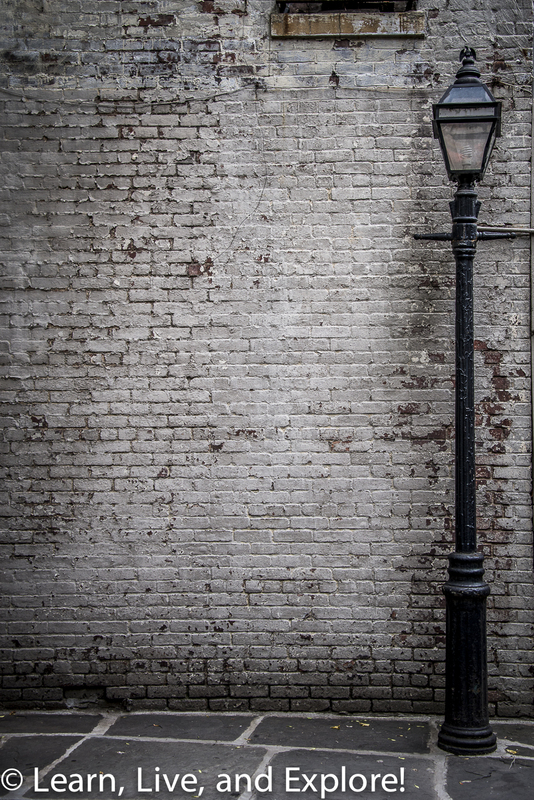 The only remaining working gas lamp is at the end of this street, though now it is wired for electricity. 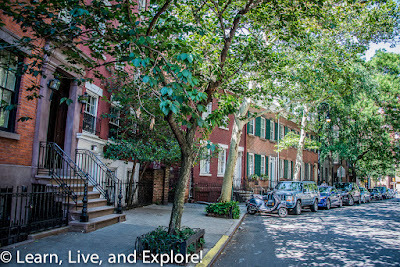 Patchin Place has had its share of famous residents, primarily authors - the most famous being e.e. cummings. Going back to Grove Court and the Friends apartment building, also on the corner of Grove Street and Bedford Street is a large three-story wooden townhome that struck me as out of place in this neighborhood and as something I was more likely to find in my hometown of Alexandria, in Georgetown, or in Philadelphia even. So, I hopped on Google and not only got my answers, but got a separate scavenger hunt idea: the oldest homes in Greenwich Village. 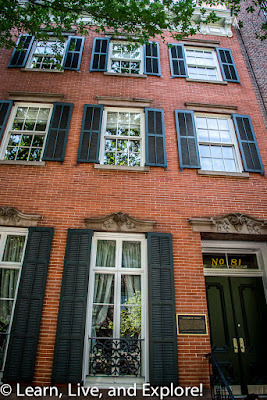 Starting with 17 Grove Street, this home was built 1822 by William F. Hyde. The third story was added in 1870. 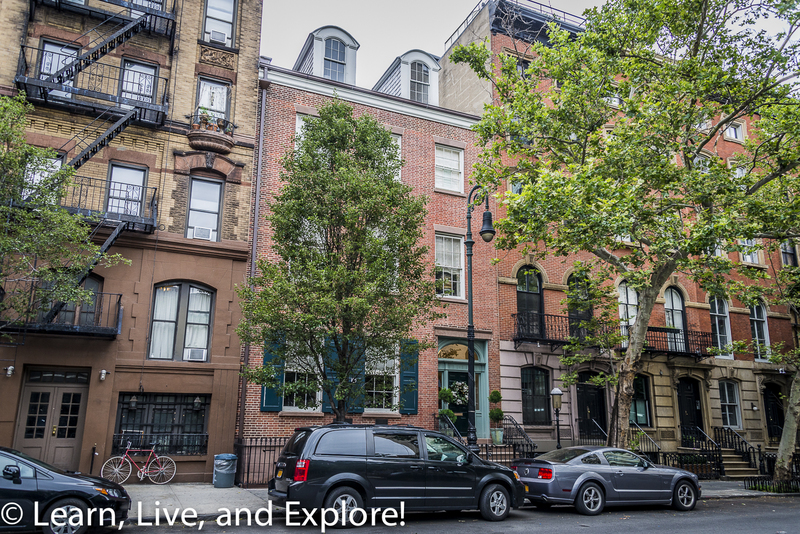 It is one of only a handful of woodframe homes in New York because of the fire risks. Take a look at the corner of the roof and see if you can spot the little brown owl. 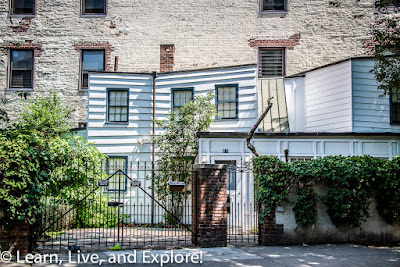 Moving on to 121 Charles Street, there is a wood farmhouse that has the oddball lines one would expect from a modern Hundertwasser or Gehry-esque architect. This farmhouse actually was not original to this land, rather it was transported in 1967 from a site at 71st and York. The construction date of the home is unknown. The author of "Goodnight Moon" briefly called this her home prior to its move from uptown. 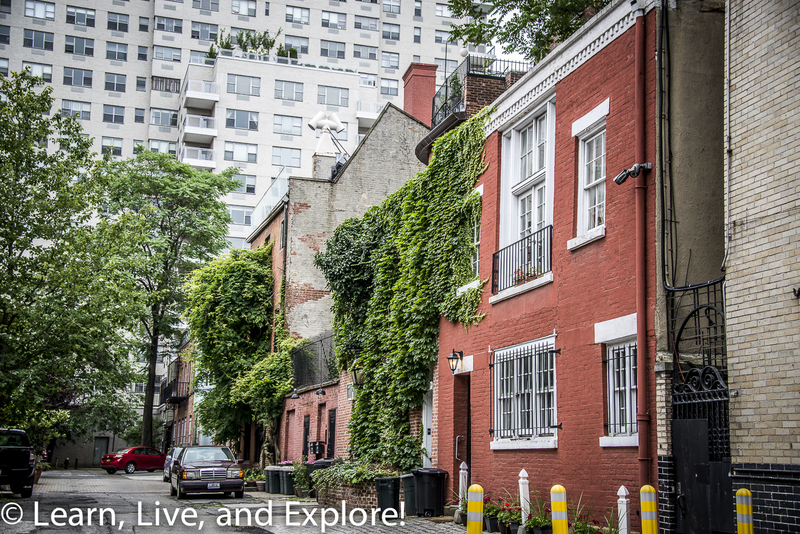 I made a stop at 77 Bedford Street to take a look at the 1799 Isaacs-Hendricks house, but it appears to be undergoing an external renovation and is covered in scaffolding. 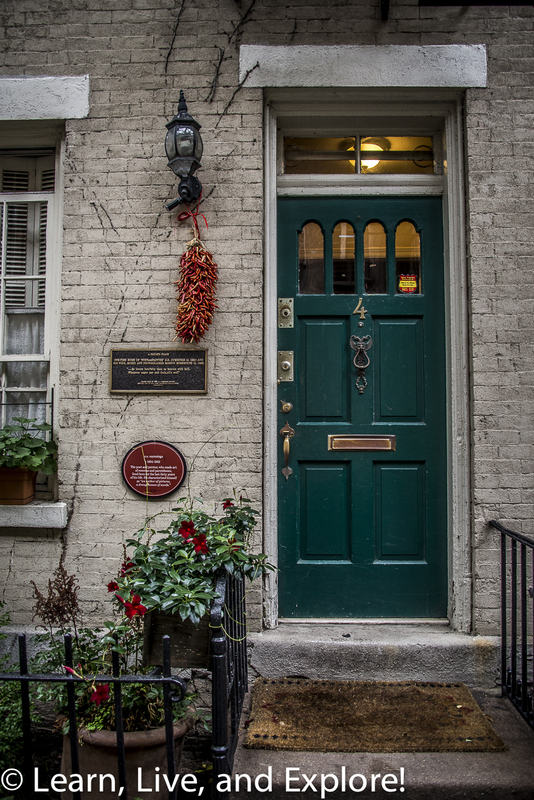 So, onto 81 Barrow Street. 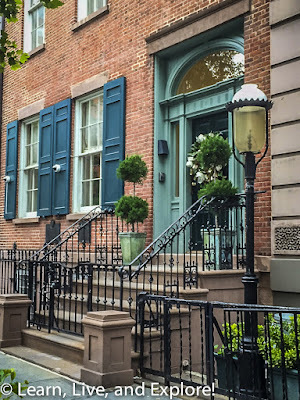 While not one of the oldest homes in The Village, it is one of the few remaining pre-Civil War Italianate mansions, built by James Vandenberg (architect of Trinity Church) in 1853. The author Isabel Bolton lived in this home for many years in the mid-20th century. 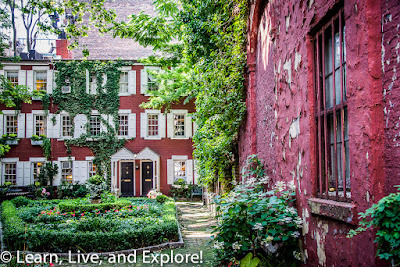 Finally, I found the oldest home in The Village located at 44 Stuyvesant St. 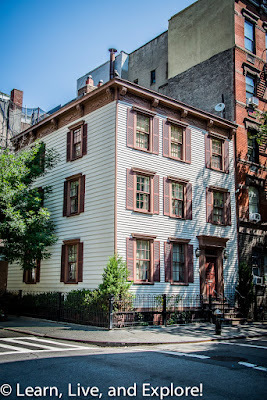 This Federal-style house was built in 1795 for Nicholas William Stuyvesant. This is one of only three buildings in NYC from the 18th century that has been maintained as a residence for its entire history. Just down the road at No. 21 Stuyvesant Street is a home from 1803, built by Petrus Stuyvesant. 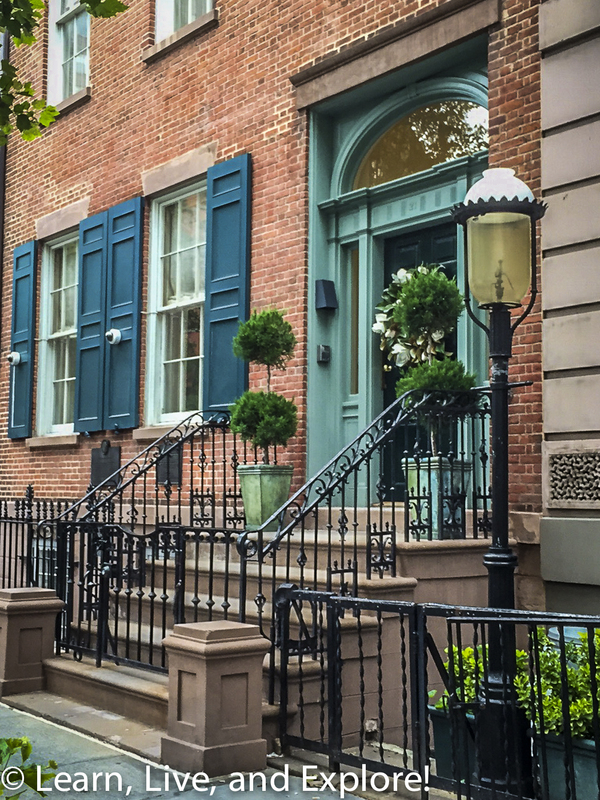 The facade of the home is nearly exactly how it was when it was originally built. 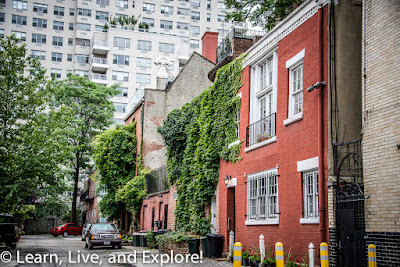 This home was surrounded by gardens and land until the mid-19th century when a death allowed for the building of the attached Italianate townhomes. 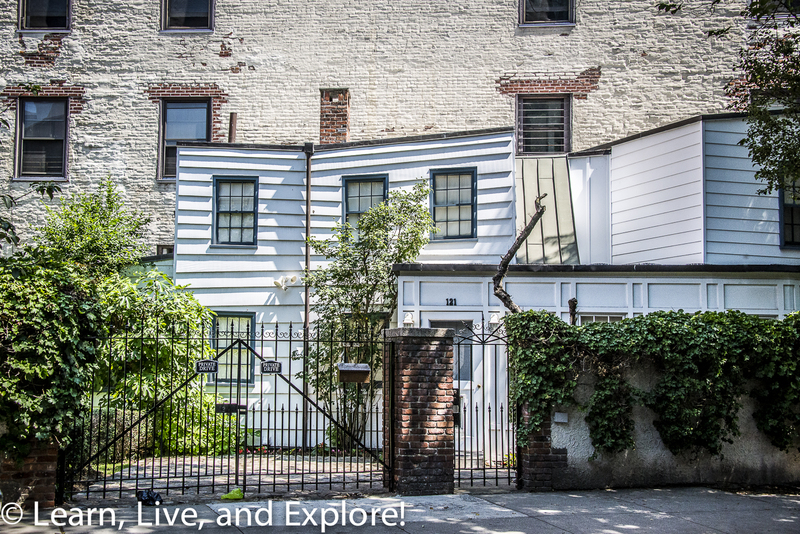 Stuyvesant built the house for his daughter, Elizabeth, and her husband, Nicholas Fish. Fish was good friends with Alexander Hamilton and General Lafayette, so you have to wonder who else walked up those stairs and knocked on that door. 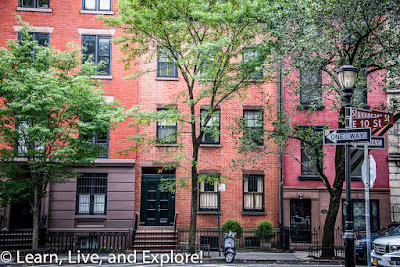 And that concluded my (double) NYC microadventure discovering the historical past of Greenwich Village architecture!